With the approval of the first CAR-T therapies – Novartis’ Kymriah and Gilead/Kite’s Yescarta – what had been the promise of cutting-edge science is now reality. Chimeric antigen receptor T-cell technology is a personalized immuno-oncology approach that involves engineering a patient’s own immune cells to recognize and attack specific surface molecules on tumor cells. These disruptive products bring a host of challenges, from manufacturing and distribution to payment models to physician training and commercial models. 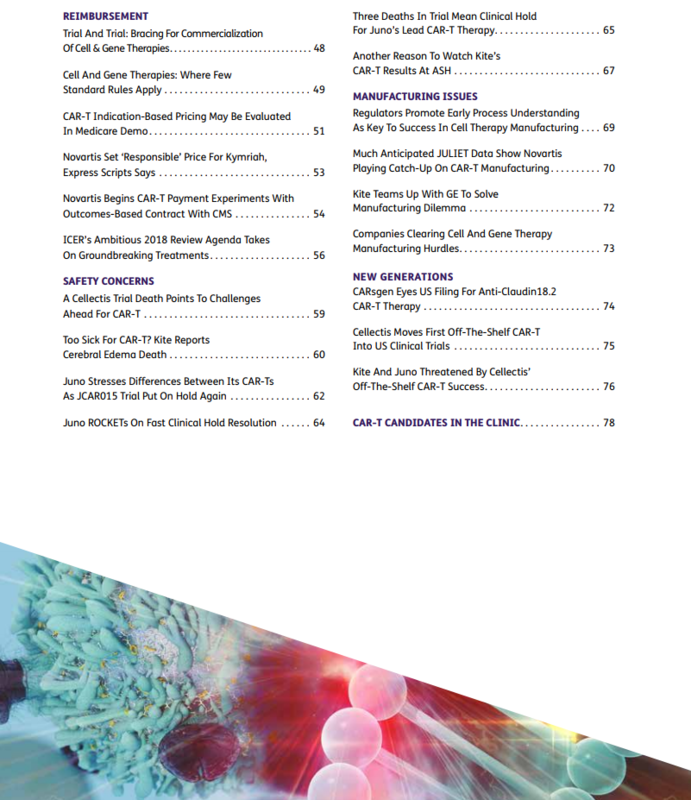 Our publications have tracked the development of CAR-T and other adoptive cell transfer technologies since inception. In this collection of nearly 50 articles from Scrip and the Pink Sheet, we bring together the cumulative wealth of information we have collected, organized into topic areas that should allow readers from different specialties to catch up on what they need to know about this exciting new field. 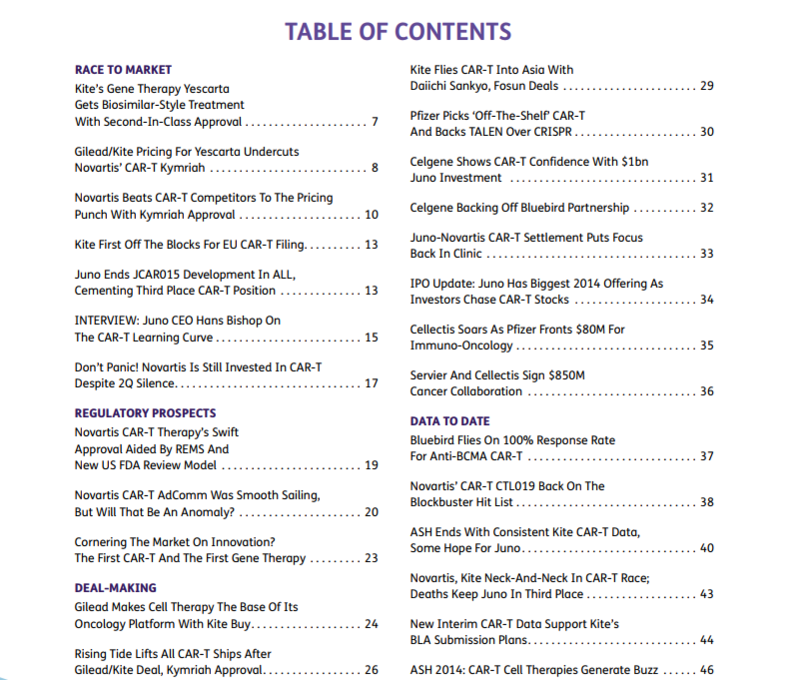 Additional information includes brief profiles of key players and an updated product pipeline.